We came, we saw and we were in awe. For several teams who joined the QR Code hunt comprised of us bloggers, runners, techies and others, it was knowing more of Cebu’s heritage and culture through technology as we hurdled challenges, braved the rain, solved puzzles and uncovered clues while racing around Cebu City with smartphones in hand. Cebu City’s Gabii sa Kabilin (Night of Heritage), started seven years ago by the Ramon Aboitiz Foundation, Inc., was an eye opener. It’s the only one of its kind in Asia and is based from the Lange Nacht der Museen (Long Night of Museums) that was started in Berlin in 1997 after the fall of the wall. With a ticket at P150, visitors can go around from dusk to midnight to several participating museums, heritage structures, galleries and alternative spaces, all showing the rich Cebuano culture through dances, songs, food, history, and art. 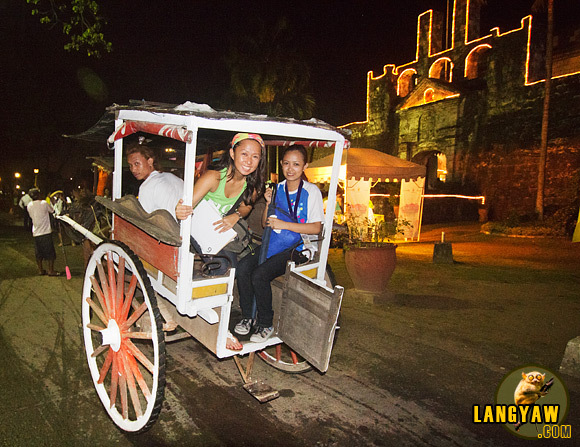 This event is observed every last Friday of May and patrons are transported around the different sites in buses or, for a more classy experience, tartanilla, the Cebuano calesa or horse carriage for short distances. The QR Code Hunt, a challenging but fun event in the mold of the popular Amazing Race was sponsored by Smart, the country’s largest wireless mobile provider and in cooperation with mycebu.ph, an upstart that is bringing a more enriched heritage experience through QR code technology. In the featured twelve heritage sites, participants do certain tasks, upload a photo or video to either Facebook or Twitter accounts and then scan a QR code that is present per pitstop. The decoded QR code tells the racers of the next heritage site and the corresponding task. After verification, a letter from the alphabet is given. The racers need to collect all 11 letters. Arranging these properly will reveal the final pit stop. The first three teams to reach the final pitstop wins the race. It’s no mean feat to actually do the QR Code Hunt. The hot and humid night coupled with a brief shower as well as the distance made the hunt more challenging and difficult. In the first few stops, I was already sweating very hard and my shins started to hurt due to the running on pavement. The tasks ranged from dancing the sinulog, the prayer dance identified with the Sto. 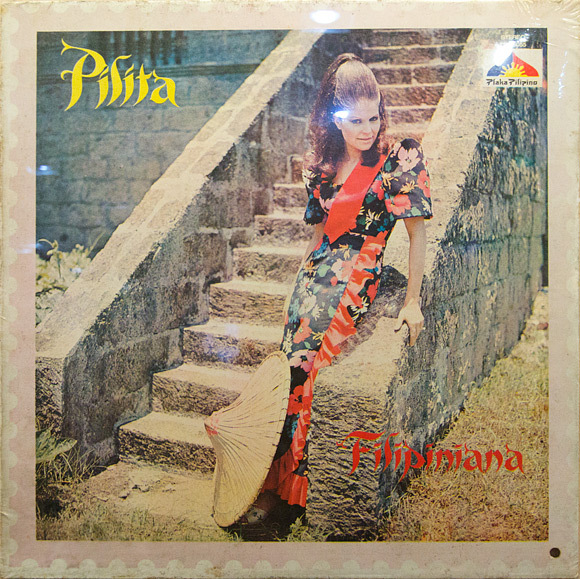 Niño devotion; making a puso pouch that has to be woven from palm fronds; to actually singing a stanza of the popular Cebuano song Matud Nila, only after hearing a snippet of it from an old Pilita Corrales record at Halad Museum! The heritage sites featured showed a good mix of both tangible: structures and spaces, like the Cebu Capitol built in 1937, the Spanish colonial era and historic Fort San Pedro and a beautiful kumbento now the Cathedral Museum of Cebu; and intangible heritage: music, dance and food. This made for a very memorable Gabii sa Kabilin. One thing that really made this event something of note is how technology has played a big part in making this a success. The QR Code Hunt utilized smartphones loaded with an app that enables it to read these codes and, with the mobile broadband internet capability, makes it possible to update in real time one’s social media accounts like Twitter and Facebook. But it doesn’t end there. It also puts a spotlight on what is now happening in Cebu’s heritage scene. In the first place, the island province is the only place in the country, for now, wherein heritage sites are already tagged with QR codes courtesy of mycebu.ph and supported by Smart. This enables a growing segment of tourists, and not just flashpackers, who travel armed with smartphones or wireless internet devices like Android tablets and Ipads have a richer heritage experience as they become immersed with in-depth information and multimedia, all at their fingertips. And it is the new form of tourism, a beautiful marriage of technology and heritage. ok to ah. Mixing technology with historical sites. at may games pa. Great pictures as always Estan!